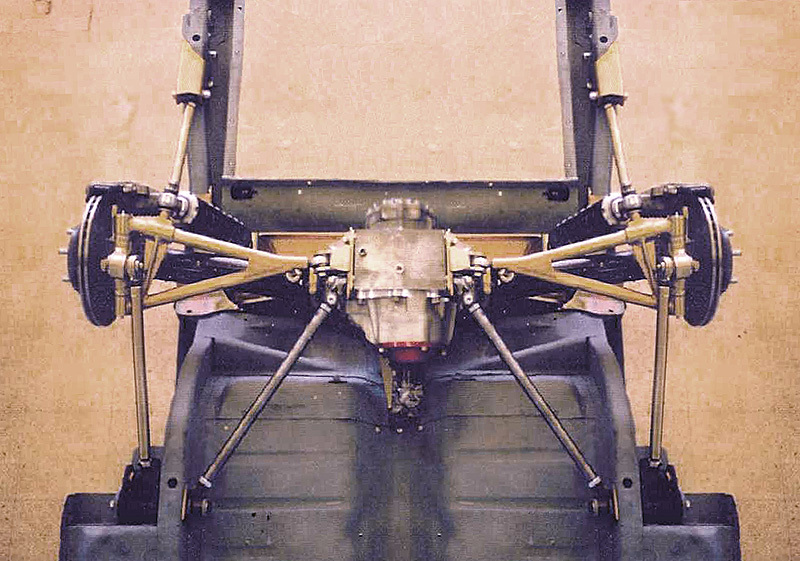 Independent Rear Suspension Forum » Software Solutions for IRS design/Layouts? » Software Solutions for IRS design/Layouts? Software Solutions for IRS design/Layouts? I have already cut and welded metal for a "Jim's Giovanni" and my intention was to go with it and modify it later. But that "slippery slope" has me thinking; As long as the body is off - why not get it closer and then be done with it? So rather than just leap and cut - I've spent a bit of time crawling the web to find what is available out there to help design and layout my revised IRS. Readings - A heap of those available - not specifically covered in this posting -- except as how they might get to a solution set. These are organized more in a cost high to low than utility - I haven't the fiscal assets to try and compare all -- but wouldn't that be fun! Not cheap you'll note - but if it would save some pain of redoing - could be worth it. And the developer has some bit of experience. He graduated from CalTech in 1967 with a degree in Mathematics specializing in numerical analysis, That was followed with a Masters from Stanford University in 1969. Extensive support throughout the Can-Am serioes during the 60s-70s, and a sponsor/judge for Formula SAE. 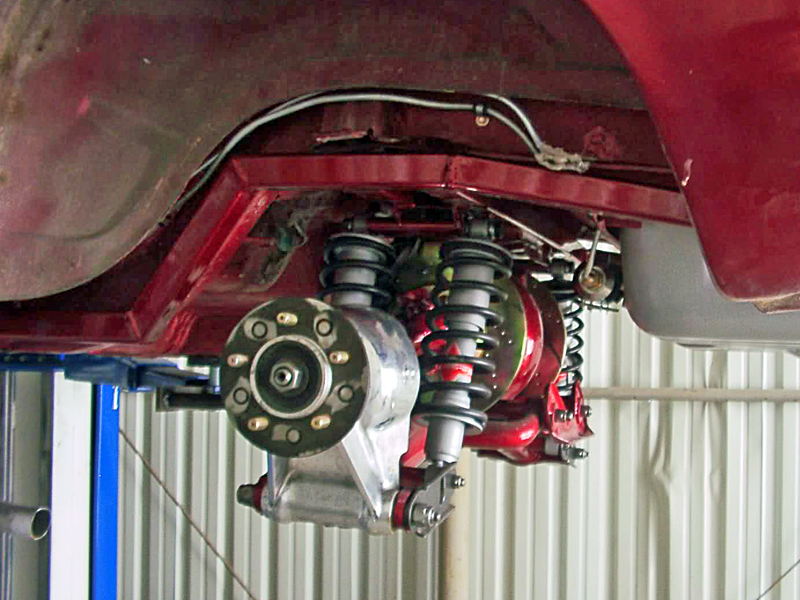 -- note this is a front suspension - but will accomplish rear IRS too. A nice thing about this software - you can apparently download it - give it a go - and if it is what you want -- then buy it. Nice - EH? Click on the blue link below and when asked, select Run to install it. Program will run in Demo mode for free. If you like it, call Performance Trends with credit card information to order the standard working version for $249 or $399 for the Full Vehicle version, or $599 for Full Vehicle with Data Logger Options. Performance Trends is one of the largest producers of high quality, high tech computer tools for today's racer, engine builder or performance enthusiast. Performance Trends started in 1986 with the release of our popular Drag Racing Analyzer computer program, quickly followed by the Engine Analyzer. Since then, we have expanded the product line to 20 engine building and racing computer programs. You might get this one, SusPROG3D, confused with the Suspension Analyzer (above) as their pages have sort of a similar "look and feel." As I recall SusProg is an Ozzie based development and has a number of built in options fto get you jump started. There is an extensive set of Tutorials-- and an Evaluation Version - to try it out too. Purchase price is $300 US. PayPay etc. This is a basic "get you going" tutorial, using the registered SusProg3D software. It is not necessary to have this book to use the tutorial, but Herb does discuss various design options and decisions, which may be useful. You will need a registered copy of SusProg3D, version 4.500E (or later). The evaluation version cannot be used for this tutorial because the evaluation version does not allow for changing the upright and wheel dimensions. AutoWare is focused (IRS-wise) on 3 and 4 link styles. And at $99.95 US -- not terribly expensive --- if a 4 link is in your plans. Note they have other software available too - for data acquisition and a number of other specific chores. Now as I continued my "quest", I snuck over to see what was happening on the "LOCOST" forum. The development team leader, Bryan D. Feldman, has over 25 years of professional C/C++ software development experience. He is an avid auto enthusiast and fan as well as an experienced fabricator, tuner, and driver. He has been involved in the project from the very beginning. All other members of the development and testing team are also experienced automotive and computer enthusiasts. Well, at the "less than $50 we are in to the "free zone." As school projects are oft want to go - its been a few years and no updates from last year. Less than 20 posts on the Forum, but its free! The BEST part -- It is where I got the lead on Speed-Wiz above! Another one I found is "BonesApart"
"Just where should the suspension points go?" I hear you ask. Rush to your library and take out Alan Staniforth's, Competition Car Suspension: A Practical Handbook. This file is my take on the famous Staniforth string computer. It's a spreadsheet I wrote earlier in the year that has proved to be very useful for estimating roll centres, camber change, track change etc. The roll centre moves with suspension movement. It can't do roll axis, toe change or bump steer. The 3D maths of this is too hard and makes my head hurt. The file needs a reasonably recent version of Excel to run. Please enable macros when asked by Excel. It's called BonesApart, which is a pun for both sides of the Atlantic and should even make the French happy. Click here to download. Feel free to distribute. The first tab contains a list of instructions and an invite for users to donate beer. The second tab is the main work area. The third tab shows the instant centres and virtual swing arms. As noted, there are a few limitations - but well worth spotting the Kiwi developer a beer! There are a few other programs available - one is an online linkage movement set - but it works "graphically." By that, I mean - you move the points of attachment =- not by measurements - but the points. I have misplaced my bookmark - but I found it only mildly interesting - but less useful to designing an IRS. Speaking of "designing," there are a few YouTube videos (TuTs) of using SolidWorks (which I am familiar with) for IRS design. Maybe Rhino too - (also familiar), but haven't dug that far. BTW - I built and trialed a String Computer to work the Kinematics (2D) and I found it interesting and usefull. It's always nice to play with paper and scissors -- DON'T RUN! Anyone else find some useful progs out there? Share your thoughts and examples Please! Re: Software Solutions for IRS design/Layouts? If it isn't broken..... modify it anyway!!!! Been fooling around with the BonesApart some and its easy-peasy! I'm looking to spot the front roll center (there are a few mods already (SPC upper A-Arms, Vett Brakes Mono Leaf and lower AArms, andd a DIY Rack and Pinion.) Want to clear the front before setting in on the rear. When I get that sorted in BonesApart - I'll run again in Speed WIZ -- Stay tuned for details in a separate thread! Also there is an incredible set of software -- but at $1695 USD - you'd expect a lot! 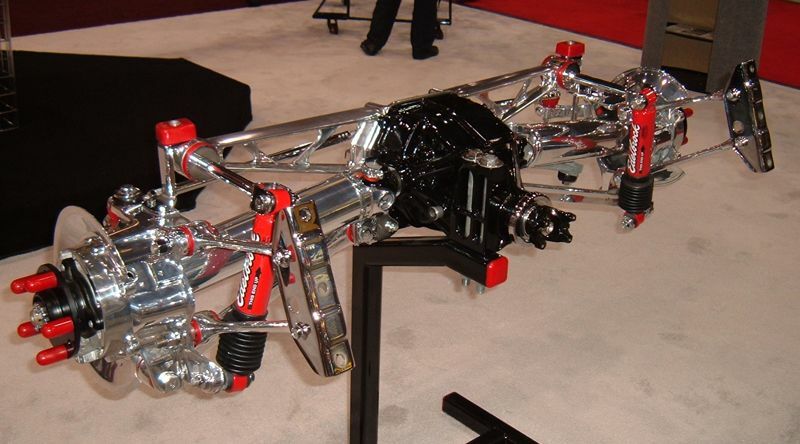 Does complete chassis - front and rear as a SYSTEM! Awesome. They do have a 14 day trial -- with some limits - migh give it a whirl when better refined design. And, if we formed our own "University" our "team" could get it for $395! RE: SolidWorks - found a nice link (I'll post a summary) describing how to use SW to work your suspension design. As a part-time SW user - its something I've been drilling for a while. Doesn't Solid Works have a free design Jim. Someone posted this at Vettemod. Check out these IRS Videos. EXCELLENT TIP! Way better than the one pager I was going to load...(may still get to that). Hey DAZE! What about a downloads section for forum members to host ad DL from? The Vettemod.com site has an example or two for ideas. Urges 'Lurkers' to joinup and if they're interested - eventually they'll participate too I'd bet.. Covers a lot of the tutorials you'd find in the SW manuals - but focused on automotive applications -- specifically the Formula SAE. In fact it appears to be a startup for the teams and assumes only very basic SW skills. Good on them! Should be very useful - and NOW - I have more on my plate! Would you/could you capture the key dims from your C3 front end on the ground? I need the Centerline to Upper & Lower A-Arms - Inside and Outside(the ball joint) , and the height above ground for those points, and ditto to a common reference point - say, the lowest point on the chassis just ahead of the engine (the curve). I've got a Rack and Pinion installed so can work from the common ref to get the tie rods and pinions at this end. Send yours if stock. Mine is up on 'horses and all measures are irrelevant - no engine, droop wrong etc. In trade, I'll model in BonesApart and Speed Wiz and post. Getting the front ICs/RCs right will be usefull for both of us before modeling/fabbing the IRS. My Cobra has the Mustang II front suspension. So I am of no use there. Copy and a C 4 IRS rear - Thanks mate. 'Splains the Avitar! Bought the Speed-Wiz basic package. Liked that it does a lot more than just suspension. Now to learn to use it! Struggling to figure out how to input basic parameters. Lots to look up, even arcane things like vehicle frontal area. At these prices I want my gas 100 octane, leaded, and my windshield washed! Managed to model the rear IRS at least enough to get a starting point. Need to make a basic change to correct positive outside camber gain in roll. Started with parallel A arms. Back to reading the book.